I'd love to share 'how to build websites with SBI' with you, but indulge me; let's go back to the very beginning of my various careers. It was November of 2010. I'd been working diligently on my five-year-long chosen career path of Forex trading — and Christmas was only a month away and I couldn't feel the cheer. 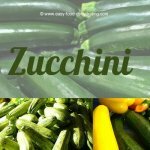 I decided to put the trading 'aside' and tackle, yet again, the chance to be my own boss and have my very own website. Yep, I surfed. Not on real waves, I'm a wuss, but on the PC. My love of designing things was in the back of my mind, but I'd no idea of how to turn this desire into something of substance. I've noticed through the years that most good ideas come to you when you're not trying so hard to think. And in this stage of 'not thinking so hard' and surfing, I came across a website that was selling seeds, and they had "affiliate" programs. I thought, "what's that?" and clicked on it. But I was stopped dead in my tracks, because to become an affiliate to help sell their seeds, you really needed to either have a real store-front, or your own website. Storefront? Website? I Had Neither! I had no idea how to build websites. I then did what all of us would do at this point: typed in the search engine box "how to set up a website for free" and yes, I'm sitting here cringing at how desperate that sounds! Nowadays WordPress is the King of site creation "for free" — WP just creates a site and you have to get outside hosting. Without SBI's huge amount of business savvy that they teach that's included in the low monthly hosting fees, you'd be lost. Having said that, SBI does have SBI for WordPress users too! Solo Build-It! (SBI) teaches you all about creating quality original content. And with that mindset and dedication, the traffic will come! They'll teach me how to build websites! Just Look At This Girl Go Now! "What's this?" I asked myself as I landed on the SBI website. I clicked. And the rest is history. I read ALL of the customer reviews and stories of how they each found Solo Build-It! and how it's been working out for them, and their yearly updates! And I signed up. December 1, 2010. 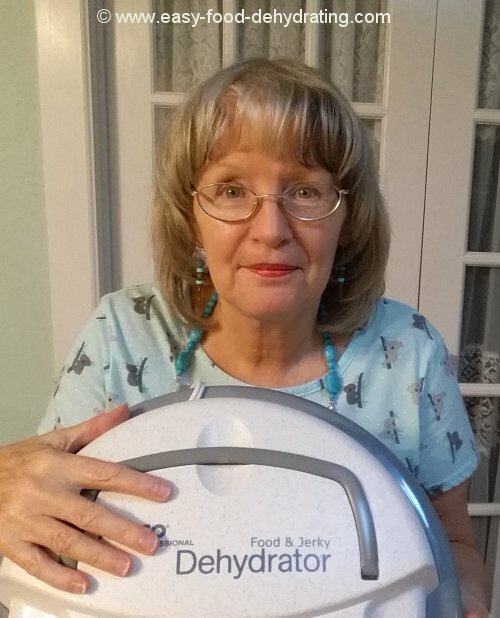 It was the best thing I ever did — a one-time payment for a FULL YEAR of hosting, (or you can go their easy monthly route if you wish) AND a fabulous forum filled with friendly folk (enough of the 'f' words Susan) who honestly do want all SBI members to succeed ... and an Action Guide so full of info. that it will make your head spin IF you try to do it all in a rush. Just know that it'll teach you all you need to know about how to build websites that work! Take note of the ad farther down the page showing the option to 'pay monthly' if you don't want to fork out for a full year in advance. It costs just a few dollars more per month overall, but if a monthly option helps with the family budget, go for it! THIS is How To Build Websites! Now I was armed with ambition and good intentions which saw me through the Christmas period in good spirit! 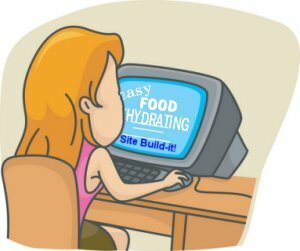 www.easy-food-dehydrating.com was born on December 23, 2010 at 10:15 am – I was the proud owner of a brand new bouncing baby website! I must say that at times I was faced with a very steep learning curve, pretty much a straight-up parabolic curve in nature, but I kept at it! It took approx. three short weeks from 'no idea' to 'great idea' to 'actual website'! Now Why On Earth Am I Saying That? With Solo Build-It!, you don't need to have a head-full of html. They take care of all that technical stuff! 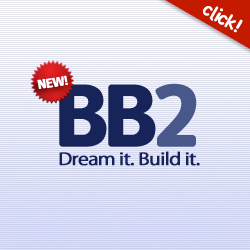 You simply build the pages, block by block – and it's the beauty of their block building system called BB2 - that works so well. They take care of the behind-the-scenes work of 'how to build websites'! This frees you up to do the creative stuff, you know, the content that people want to read! People go to sites looking for information — so you'd better make sure you deliver IF you want to be regarded as a successful site ... and be visited time and again. I am fortunate enough to have a working husband, so that affords me the luxury of being able to sit here for hours on end — and I don't take that luxury lightly. Yes, I am indeed very fortunate! Hence being able to create just over 100 pages in three short months! I look back now with wonder at how I achieved this is in so little time; I have what SBI calls "BAM" — which is Brain, Attitude, and Motivation. Well, we all have a brain, most of us need to work on attitude, and motivation is all it takes to get going and keep going! You must have motivation and a desire to succeed in any business endeavor. If not, pass it up. Keep your day job! SBI teaches you via an unparalleled system called the "Action Guide" and you can view either the video or read it, or do both! You can go at your own pace. It's sectioned off in ten 'day' increments ... but don't think you have to do it all in ten days! A day's section could last as long as three of your days ... but I'm sure there's some people out there who HAVE 'done it' in ten days. Just don't rush it, is my advice. It takes as long as it takes. Rome wasn't built in a day. Your site won't be either! When you see your homepage for the first time, it's such a rush! But back to SBI and the Action Guide. SBI's premise is as follows: use C T P M and your site will be successful. What's C T P M? C stands for Content. Content is King. T stands for Traffic. The all-important Traffic, the lifeblood of all sites. P stands for Pre-sell. Your visitor must feel good about being on your site, and your content sells itself to your visitor, thereby pre-selling them on what you may have to offer for sale. M stands for Monetize. (Something the government is good at doing with our debt, but I digress!) Monetizing is how to get your site to pay for all your hard work. Do not be tempted to do the C T P M out of order. Keep it in sequence. In July (of 2015) Mother Earth News contacted me to see if I'd like to blog for them (of course I would!) You can find my posts by clicking on the Mother Earth News logo on our home page or click HERE. A week later, the hosts of this website also contacted me to see if I'd like to participate in their Entrepreneur Series (again, of course I would!) See my post HERE. Now go click on this: SBI! - Site Build-It - Solo Build It and "get busy"! Home › How to Build Websites with SBI!